Writer/director Colin Trevorrow knew all too well the pitfalls of creating a sequel to a film as iconic as Jurassic Park. When he agreed to take on Jurassic World, the relatively unknown filmmaker laid out an ambitious blueprint: Create a film that treads on the original’s grand spectacle of dinosaurs let loose in the wild, but also gives the audience plenty of reasons to return to the park for one more visit. For the most part, Trevorrow succeeds in his efforts, creating something that stands on the shoulders of Spielberg/Crichton’s iconic tale, yet treads a new path that features all the wonders of today’s best special effects, and an all-new cast of characters real enough to sink your teeth into. That said, Trevorrow couldn’t help but play around a bit with some moments of good ole JP nostalgia — anything less would be a disappointment. 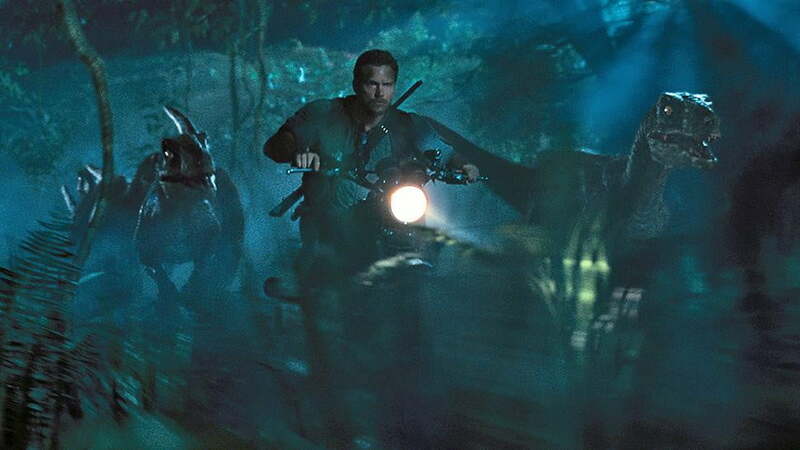 As such, we’ve outlined our five favorite Jurassic World moments that call back to the original film that started it all. Note: There are huge spoilers throughout this piece. If you haven’t seen the film, and you don’t want to know anything about it, get out of here! All others, follow us below for some Jurassic fun. In the first few moments of the film, the camera closes on a reptilian foot that slams with a rumbling thud into the … snow? After a quick pause, we realize we’ve been punked — this foot belongs to no dinosaur, but a pigeon walking in the snow in front of the house of the film’s youngest main characters, 11-year-old Gray (Ty Simpkins), and 16-year-old Zack (Nick Robinson) who are loading up to head to the fully-operational dinosaur park, Jurassic World, for a vacation. It’s a pretty brilliant move as it accomplishes several goals in one swift shot: We get a visceral jolt back to the first movie when the T-Rex slams his foot in the mud; we get a connection to Sam Neil’s character who, if you’ll remember, wrote a book about birds being genetically linked to dinosaurs; and finally, we get the message that Jurassic World knows it’s walking a thin line to differentiate itself from the original, but it obviously isn’t going to take itself too seriously. 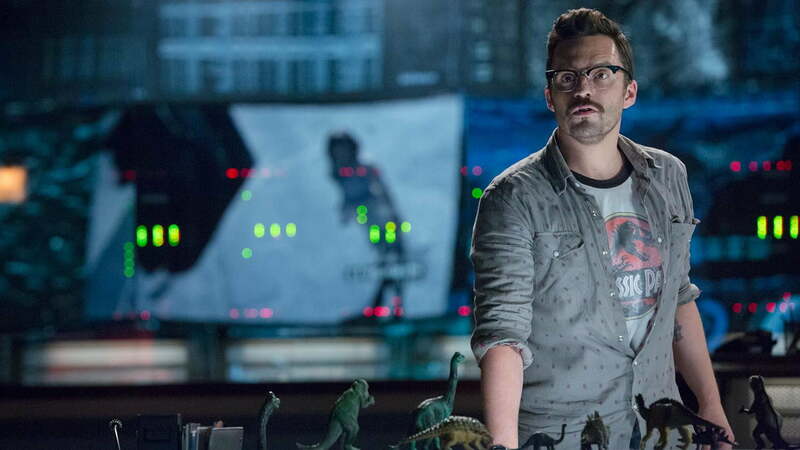 In a great moment of comic relief comedic actor Jake Johnson’s character, a computer tech named Lowery, is wearing a retro t-shirt from the original Jurassic Park in the new park’s control room. The throwback applies to the characters in the movie (the head of operations, Claire, is not impressed by the tasteless reference to the past massacre), but also those of us in the audience. Its meta storytelling at its finest. And who wants to bet that Universal will eventually sell original Jurassic Park shirts right next to the latest Jurassic World merch? Separated from civilization, and on the run from a hybrid monster on a vicious rampage through the park, Gray and Zach discover a very familiar set of wooden gates in the deep jungle. 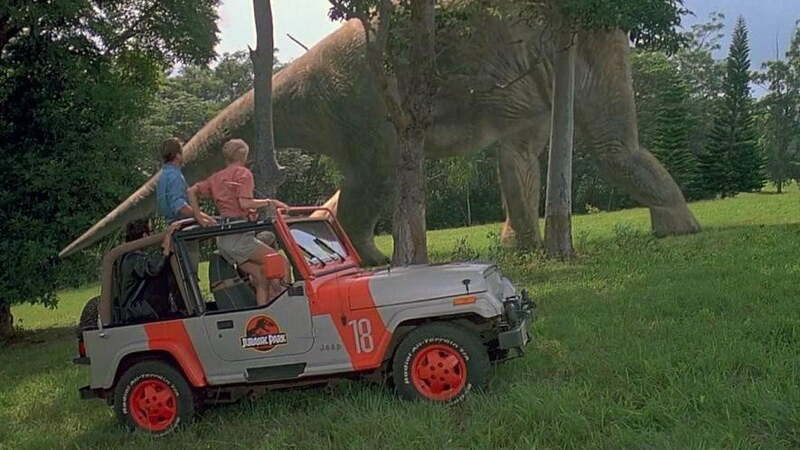 Separated from their park vehicle, the boys uncover an old garage housing two Jurassic Park jeeps, circa 1992, which they decide to try and fix up in an effort to get back to safety. The kids even find those famous night goggles that the original film’s Tim Murphy (Joseph Mazzello) used during his close encounter with the T-Rex. The thick nostalgia called forth by these Jurassic Park relics is enhanced by a brilliantly subtle piano motif of the Jurassic Park theme. 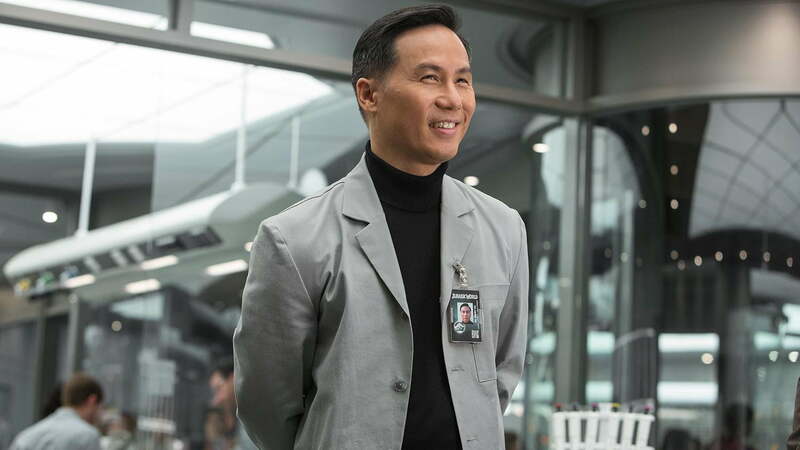 The only human character to make a return, Dr. Wu is once again the mad scientist (though he explicitly denounces the title) who helps to engineer the latest round of natural abominations. This time, however, Wu goes farther than ever before by creating an all new super dinosaur, a hybrid made from bits and pieces of some of the world’s greatest predators called the Indominus Rex. At least we think it’s an Apatosaurus. 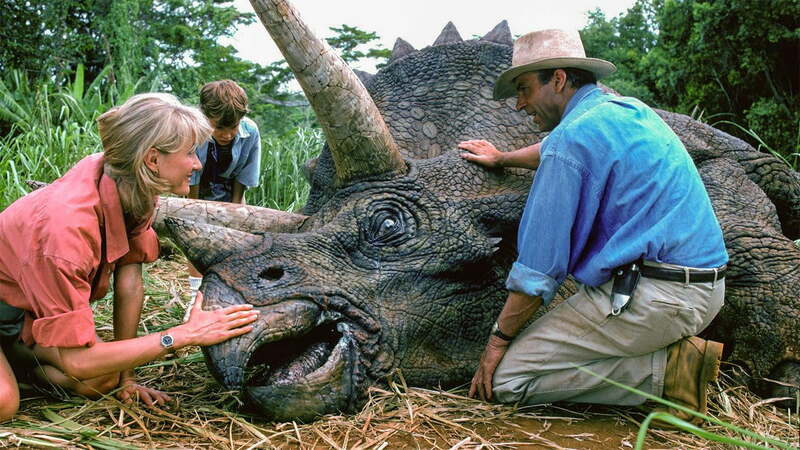 The injured herbivore offers one of the film’s most emotionally poignant breaks from the action, and a pivotal scene for Bryce Dallas Howard’s character Claire in which she starts seeing the park’s reptile inhabitants as real, living creatures as opposed to “assets.” The nostalgia comes into play from a very similar scene in the original film involving a sick Triceratops the team finds on the badlands of the park, right before things go awry. 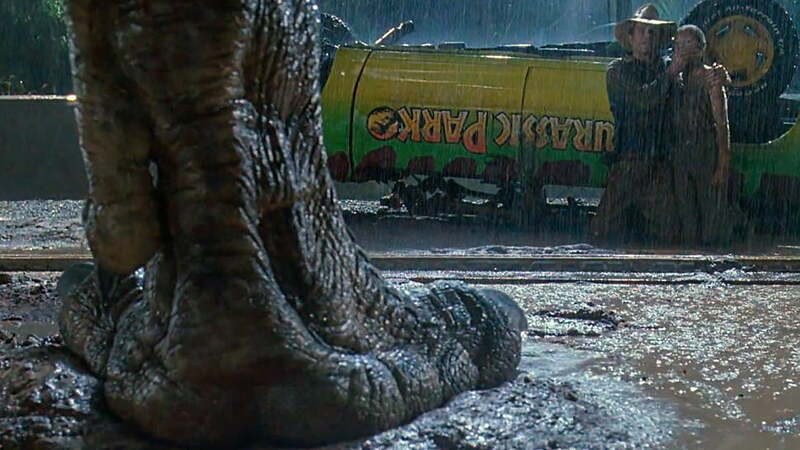 One of the most frightening moments in Jurassic Park is when the T-Rex first escapes and tries to eat John Hammond’s grandchildren, Lex and Tim, who are helplessly sitting inside one of those famous Ford Explorers. Replace the Explorer with a futuristic bubble car and the kids with Gray and Zak, nephews of Claire, and game on. The boys don’t shine a flashlight on a T-Rex, but they do make some poor decisions that land them near the mouth of one very large bipedal carnivore. 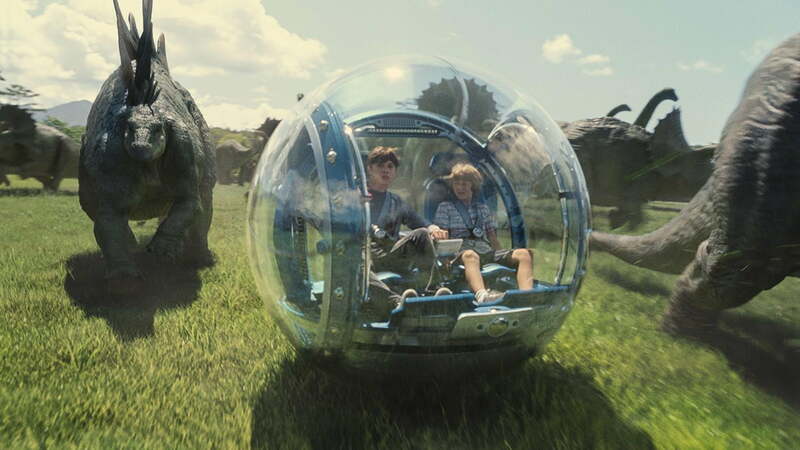 Studious fans will notice the close up on the beast’s eye, and several other scenes in the film that show the Rex’s snout ominously drifting into a scene. Chris Pratt’s character Owen even hides under a car at one point. 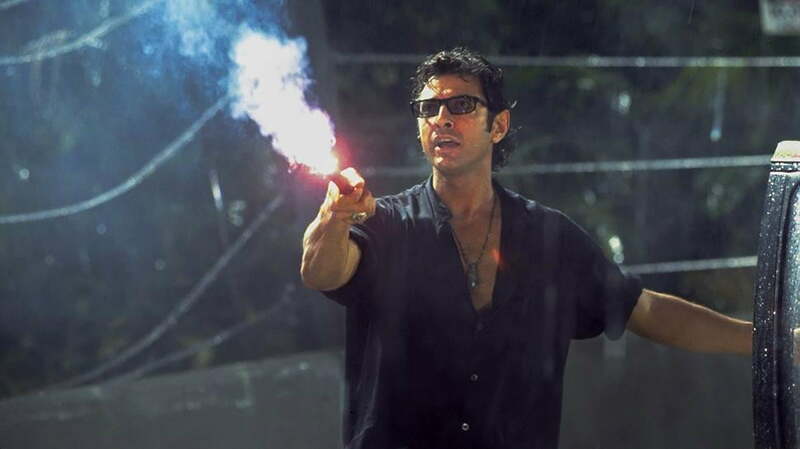 No fan of the original film can forget Jeff Goldblum’s brash moment of heroism when his character, the studious Dr. Ian Malcolm, saves the children from being ripped to shreds by the mighty T-Rex by distracting the monster with a roadside flare, which he fails to use properly. In a similarly poignant moment (if not more so) of badassery, Jurassic World’s once resigned heroine, Claire (Bryce Dallas Howard), lights her own flare as she unleashes the T-Rex in a desperate attempt to create a rival for the nearly unstoppable hybrid monster of the new film. Jurassic Park III fans (if you exist), the scene that follows is also reminiscent of the battle between the massive Spinosaurus and T-Rex in that film. The final scene of nostalgia appears in the epic finale of the dinosaur romp. The film’s hero, Owen (Chris Pratt), is forced to set loose his highly-trained pack of Velociraptors to try and dispatch of the fearsome Indominus Rex (yeah, they really throw everything at it). The scene recalls a strikingly similar moment in the final scene of Jurassic Park, in which the T-rex and Velociraptors come to blows, allowing our heroes to escape. We would love to tell you how this played out, but sorry (or, you’re welcome? ), the finale is one scene we simply won’t spoil for you. If you want to find out how this one ends, you’ll have to see the new flick for yourself, or dig up a synopsis online.